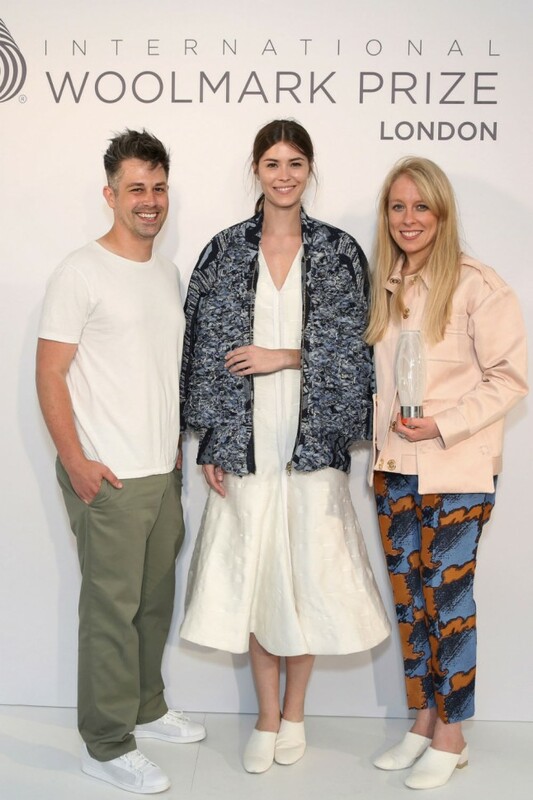 Designer twosome, Catherine Teatum and Rob Jones of Teatum Jones beat out stiff competition to take home the womenswear regional title at the International Woolmark Prize British Isles Final today. They’ll now go on to compete for the coveted International Woolmark Prize – whose alumni includes Yves Saint Laurent and Karl Lagerfeld – at the final in New York in February 2016. The competition saw a panel made up of Roland Mouret, Jason Basmajian, Dylan Jones, Sophie Naophitou, Anita Barr, Simon Chilvers and Stuart McCullough judge collections from 8 up-and-coming British brands including Fyodor Golan, J.JS Lee and Thomas Tait. While we’ll now be seeking out Teatum Jones (who are stocked in Fortnum and Mason and on Net-a-Porter BTW) to wear next season, Agi & Sam will be the go-to for the boys after winning the menswear prize. Anita Barr – the Group Fashion Buying Director at Harvey Nichols – told us the one piece of advice she’d give up and coming designers, saying: ‘I’d tell them to be commercially visible as well as creative; it’s really important to have that balance. Snaps to Catherine and Rob!